Who should not take Ne? What conditions does Ne treat? Get medical help right away if you have any very serious side effects, including: mental/mood changes (such as confusion, difficulty concentrating), vision changes, problems with speech, clumsiness, loss of coordination, weakness on one side of the body, seizures, chest pain. List Ne side effects by likelihood and severity. What should I know regarding pregnancy, nursing and administering Ne to children or the elderly? Does Ne interact with other medications? Should I avoid certain foods while taking Ne? 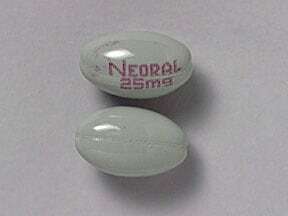 This medicine is a blue-gray, oval, capsule imprinted with "NEORAL 25mg". 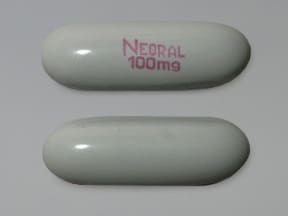 This medicine is a blue-gray, oblong, capsule imprinted with "NEORAL 100mg". Are you considering switching to Ne? How long have you been taking Ne?